Most people believe that homes should generally reflect the lives and style of those who live in them - but accumulating different things at various times often leaves people with a mix of pieces that don't sit comfortably together, or that create clutter. Our services extend from retailing through a range of advisory services, from creating moodboards and sourcing products to managed installs and property staging for selling or letting your home. We work within budget, time and emotional parameters to help you showcase the pieces you love, interest you again in what you already own, and help you decide where you should invest to update your home. We have partnered with the very talented design team at Designfiftyfive in Southbourne for the best in quality bespoke soft furnishings. Stockists include all major fabric houses including Romo, Designer's Guild, Sanderson, Jane Churchill, Vanessa Arbuthnot, Clarke & Clarke and a host of others. 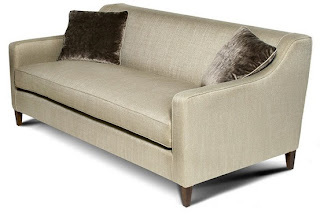 We also work with the award winning design team & furniture makers at Origins Design for custom made contemporary upholstered furniture designed and built in the UK.